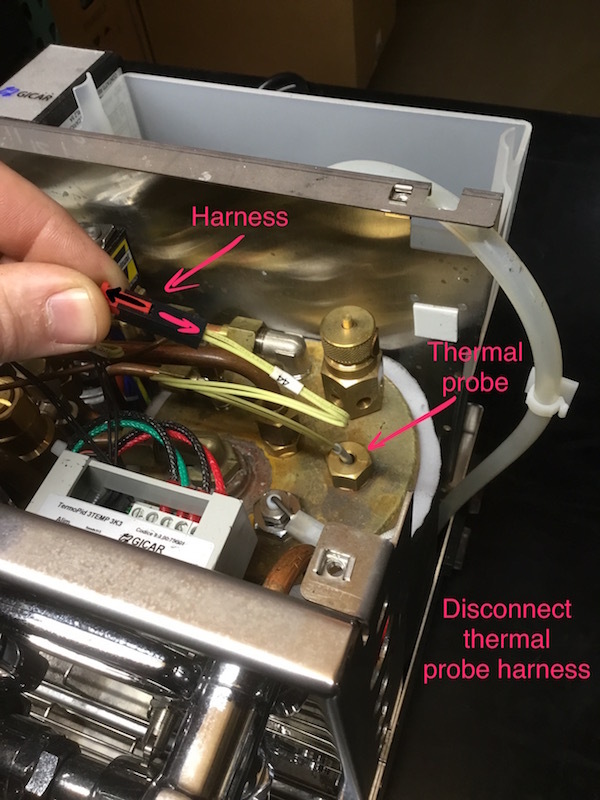 Below are photo instructions for a thermal probe replacement on your Izzo Alex Duetto espresso machine. Start by removing the top plate (#2 Phillips driver) and side/back panels (10mm wrench). Disconnect thermal probe wire harness, you may need to remove a couple zip-ties first. Using a 17mm wrench, remove thermal probe. 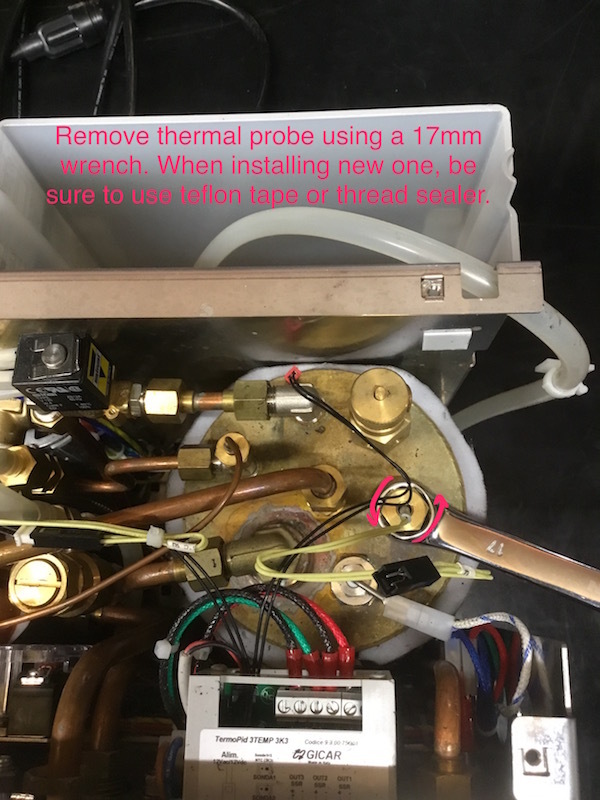 Install new thermal probe using a thread sealer such as teflon tape. Reassemble and test machine.